Being a Homemaker / Food / Keeping up with Kids / Me vs. Cooking / The Wife / To Eat or Not to Eat!? Spread tomato paste on your crust. Generously sprinkle grated quick melt cheese and/or mozzarella cheese on top. Add anchovies, bell pepper, onions & garlic evenly on top of the cheese. Slice your pizza in any shape that would fit into your oven toaster. Here we have it. 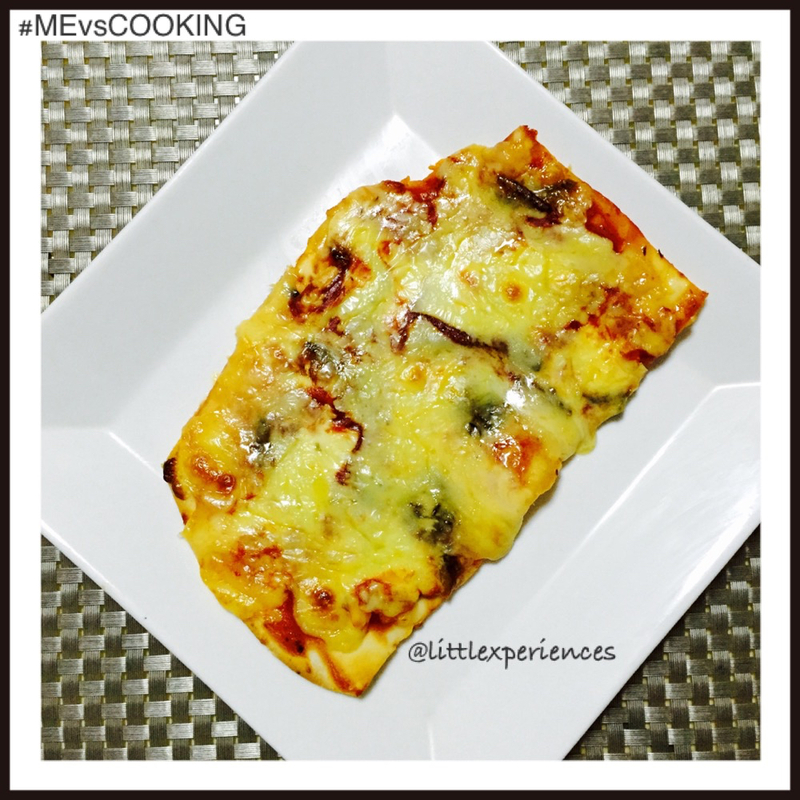 Thin crust pizza in 10 min. using an oven toaster. Very simple, anyone can do it. Food that’s quick and easy the entire family would love to eat. This is also a great bonding activity with kids. They love playing chef especially when you let them wear an apron and a hair net or hat. art (you can artistically decorate the pizza with its toppings any way they want) while making pizza. Things don’t always have to be complicated. Let’s embrace the simple stuff as these go a long way too.